In 2017 a catch phrase, “the path of totality” (ref: solar eclipse), became popular across the country. Now in 2018, for golfers in the Chicago area, there could be a similar catch phrase becoming popular — that phrase being “the place of totality” (ref: golf practice). 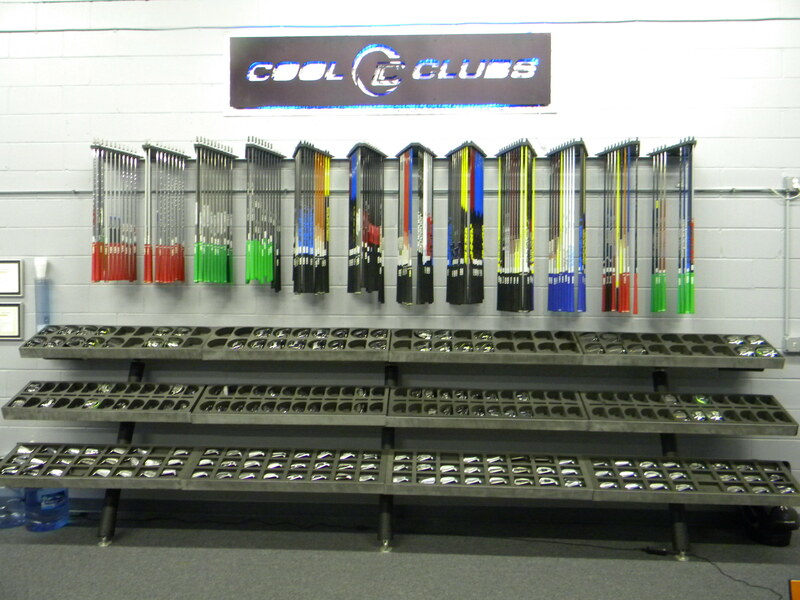 This place is called “The Power of the Golf Ball” and it is located at 291 Northfield Road in Northfield, IL. The man, the brainchild, the founder of this totally indoor golf practice facility idea is Ollen Stephens. Ollen’s hometown is Green Rock, IL, near Moline and the Quad Cities, and while it is located east of the Mississippi River, Green Rock is associated with Iowa just as equally as with Illinois. 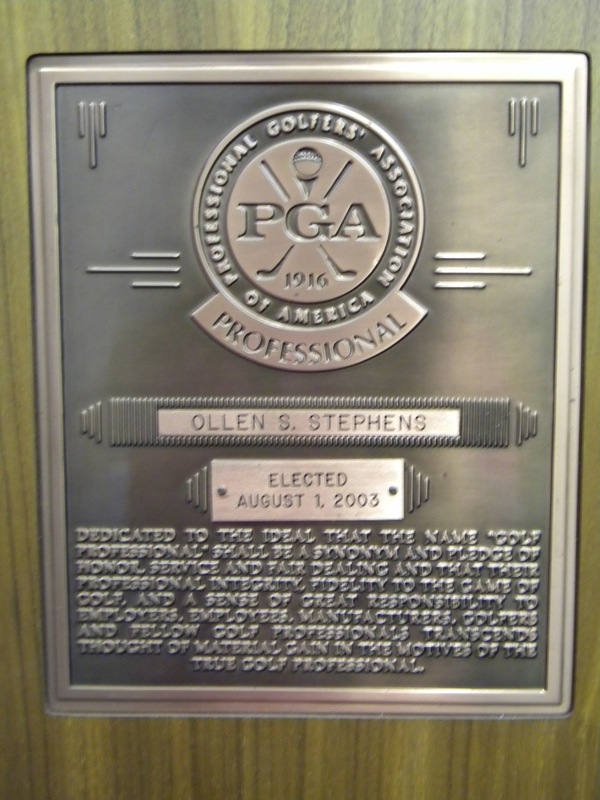 Stephens did not play high school or college golf, rather, he excelled as a baseball player at Black Hawk College in Moline, IL. Ollen discovered that his prowess at hitting a baseball helped him hit golf balls a long way, too, and he liked that. A journey of 22 years through the golf industry has brought him to stops at a Nevada Bob’s Golf Shop, Rock Island Arsenal Golf Course, Oakwood Country Club, TPC Deere Run and now to his own facility, The Power of the Golf Ball, in Northfield. PGA golf professionals from Illinois golf courses near the Quad Cities are part of the Iowa Section PGA, and hence this is where Ollen acquired his PGA membership in 2003. 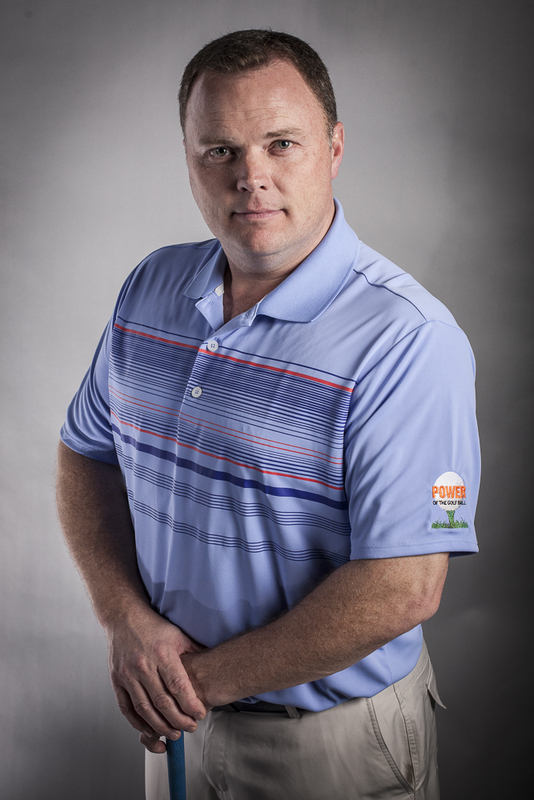 In 2006, he attained PGA, Certified Professional (Instruction) status, and in 2015 was recognized as a PGA, Master Professional (Teaching & Coaching) by the PGA of America. A recent tally counted only 207 (about one-half of one percent) of roughly 27,000 PGA members reach the pinnacle as PGA, Master Professional. 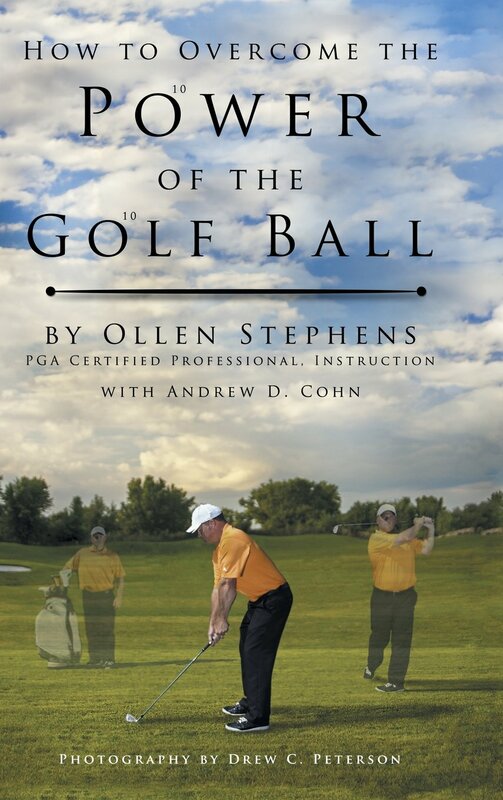 Four years ago, 2014, Ollen authored an instructional golf book entitled “How To Overcome The Power Of The Golf Ball” and hence used its final six words for the name of his new indoor golf enterprise. 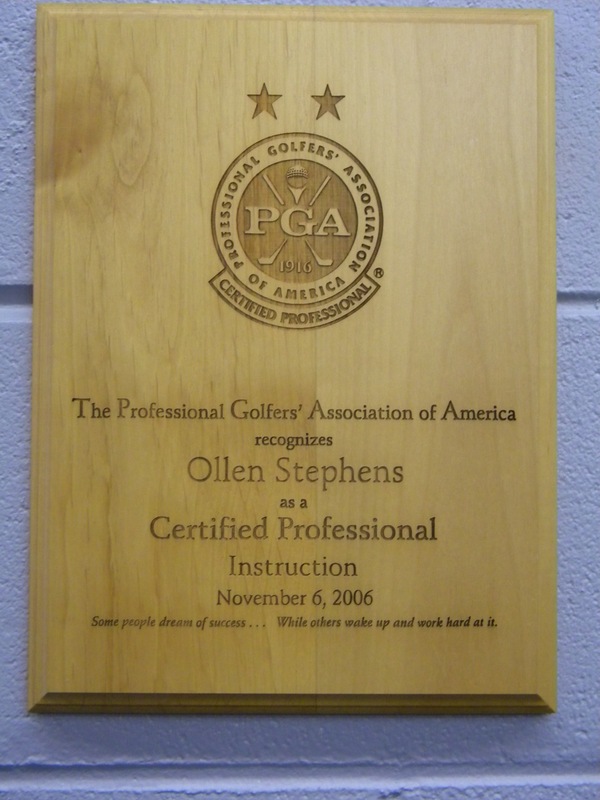 Stephens refers to his golf facility as a “one-stop shop for golf practice and training.” His facility is actually a unitization of three separate golf business functions. 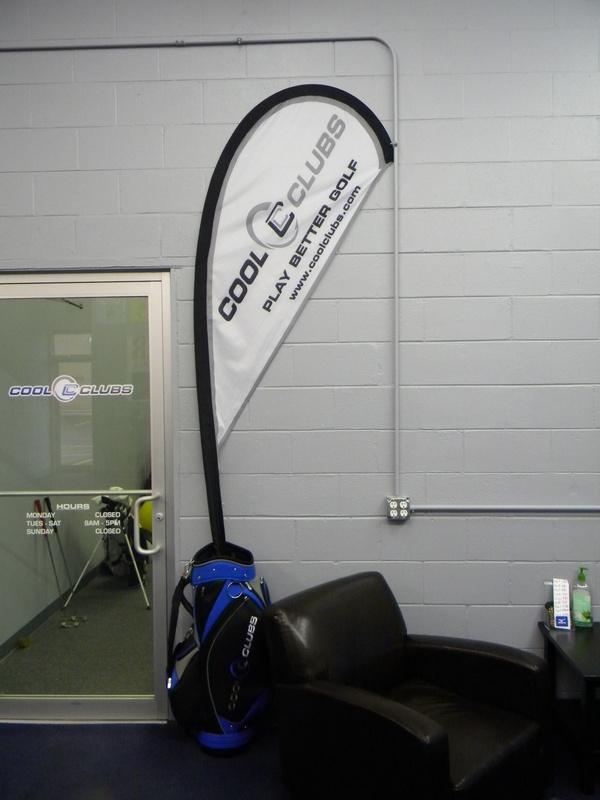 Ollen’s one-third is a golf practice and instruction center; Dennis Piant of CoolClubs operates a club fitting studio, and Corey Puyear operates P.U.R.E. 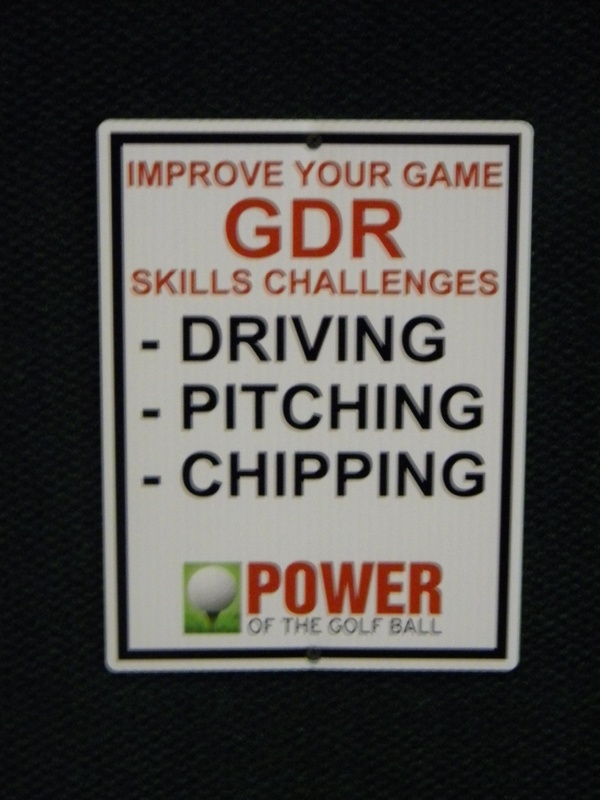 Golf which is a golf-specific physical training area using 3D biometrics to understand and improve body movements relating to the golf swing. Ollen stated, “It took a bit of time and effort to assemble the correct trio.” And that he did. Dennis Piant was named as one of Golf Digest’s Top 100 clubfitters for 2017; the recent December17/January18 issue of Golf Digest cited Cory Puyear as one of the 50 best golf-fitness professionals in America. 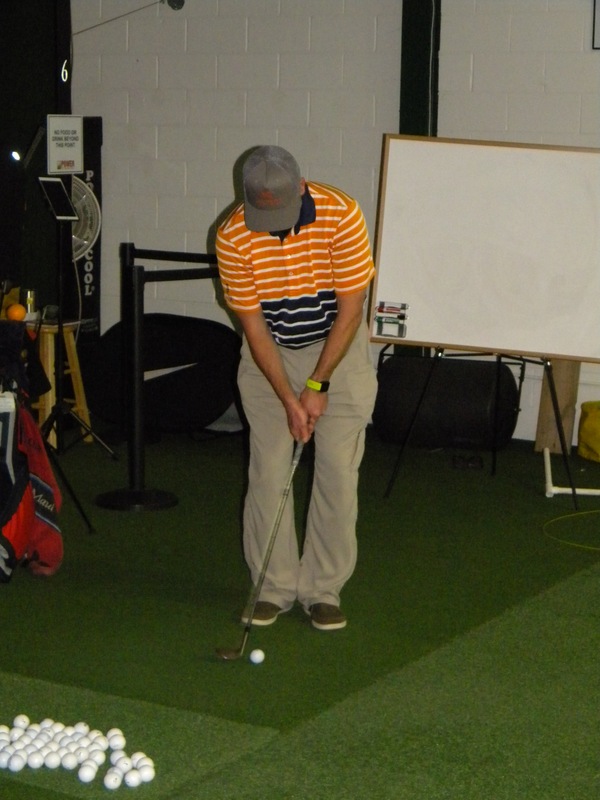 Ollen’s practice and instructional portion of Northfield’s Power of the Golf Ball opened rather modestly in December of 2015 with TrackMan, Foresight, a short game area, and hitting stations without any technology. 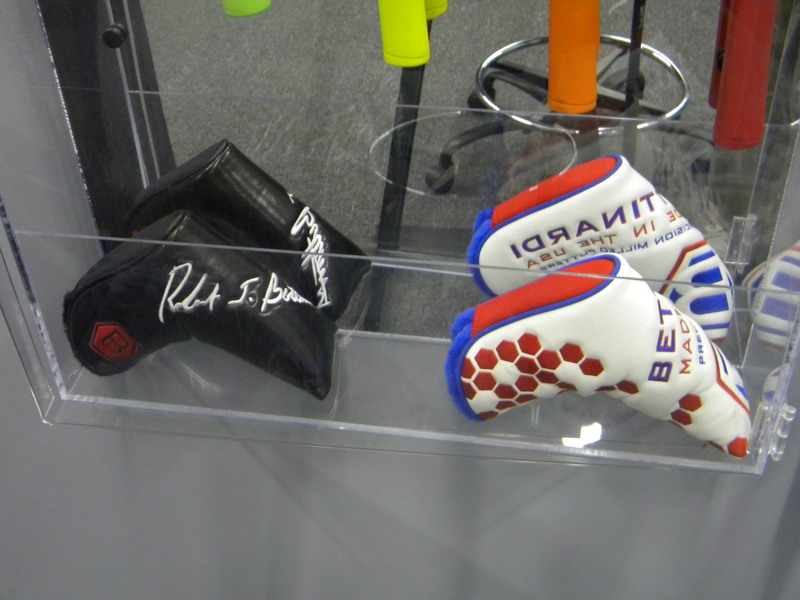 But Ollen along with his partner, Andrew Cohn, learned about a Korean company that manufactured upscale golf simulators and then experienced more about Golfzon simulators at the 2016 PGA Merchandise show in Orlando. 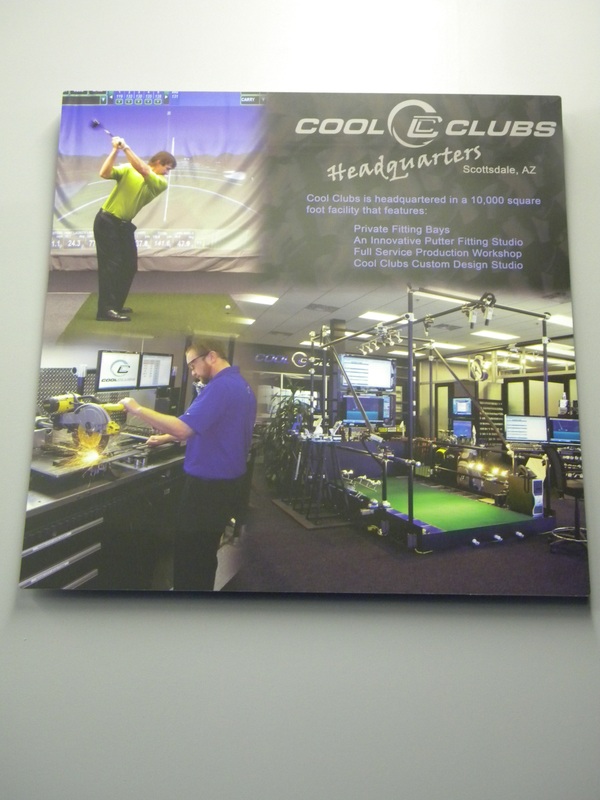 At that time Stephens and Cohn decided to delve into this new technology and have had six Golfzon simulators installed in their Northfield building. PotGB-Northfield covers 7,000 square feet — lobby, 500 sq.ft. ; practice and instruction, 6,500 sq.ft. There is a 1500 sq.ft. synthetic practice green with eight cups for putting and short game practice; the green is pitched at 3 degrees and is bordered by tight, normal, and shaggy ‘astroturf’ heights. With high ceilings and a total length-wise safety net, clients are able to putt, chip, pitch or flop as they wish from ‘various lies’. 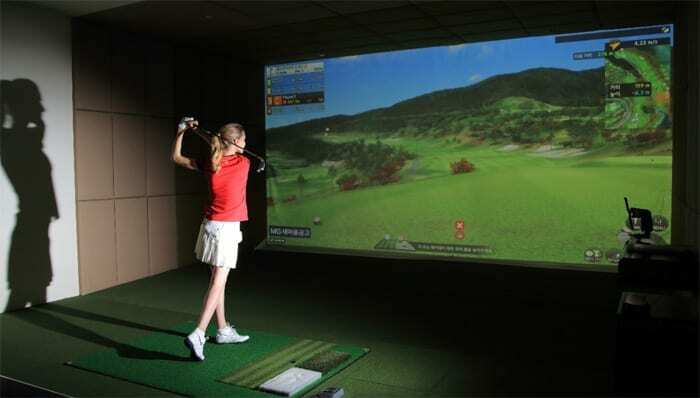 Golfzon simulators occupy 5,000 sq.ft. 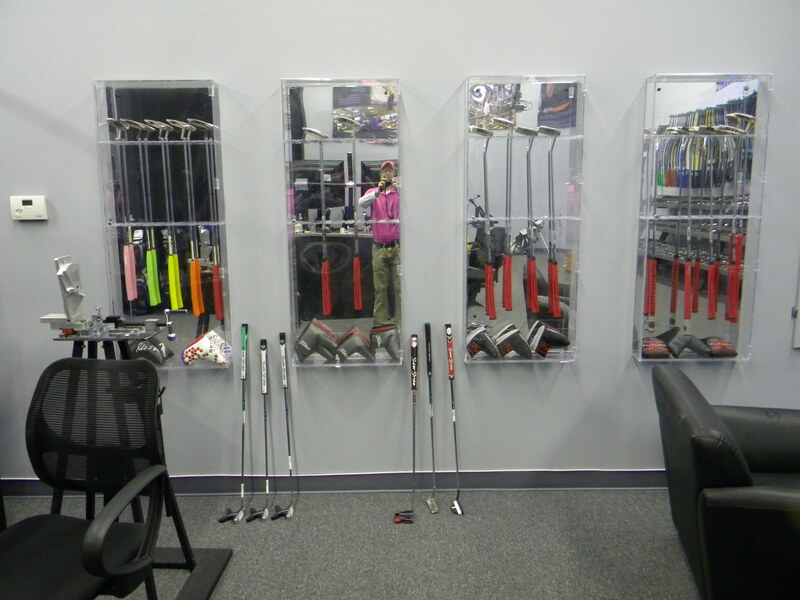 at PotGB-Northfield, and can accommodate right-handed and left-handed golfers. 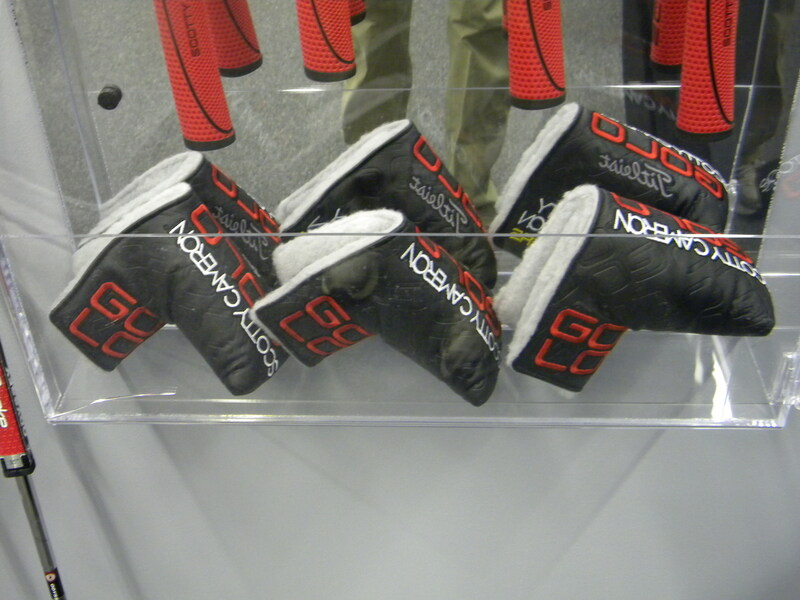 Golfzon company products have taken golf simulation to the ultimate! The May 2017 list of Golf Digest Editor’s Choice of Gear & Gadgets named Golfzon’s Vision “Best Golf Simulator”. 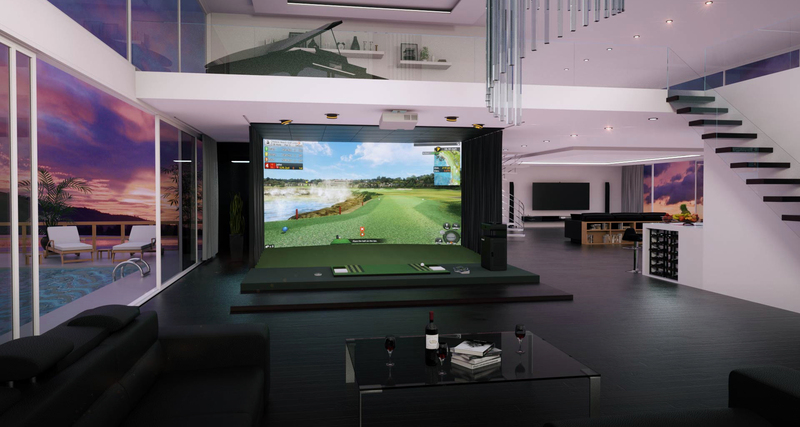 Golfzon currently offers two distinct models of golf simulators; the GDR model intended mostly for golf practice, and the Vision model designed for play on virtual golf courses. Both models are versatile and capable of practice and / or virtual play. 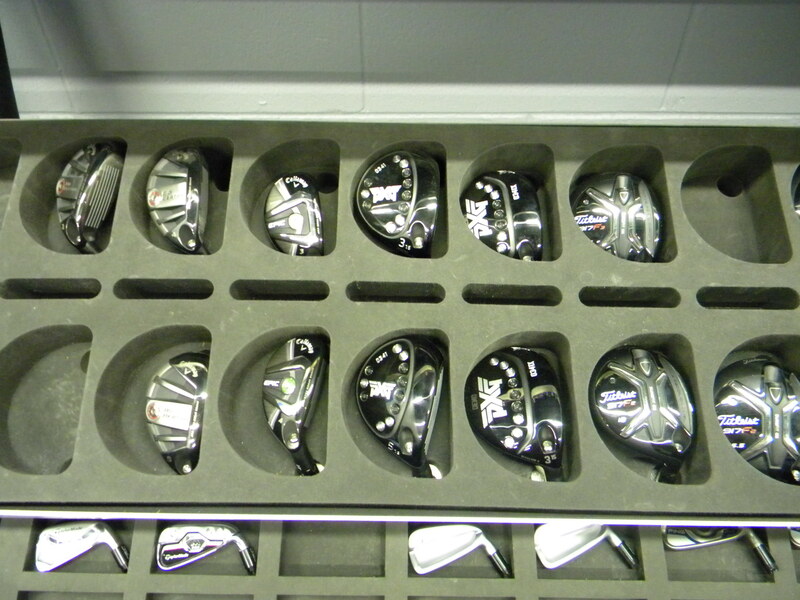 Sensors and computers are the ‘basics’ behind all golf simulation. 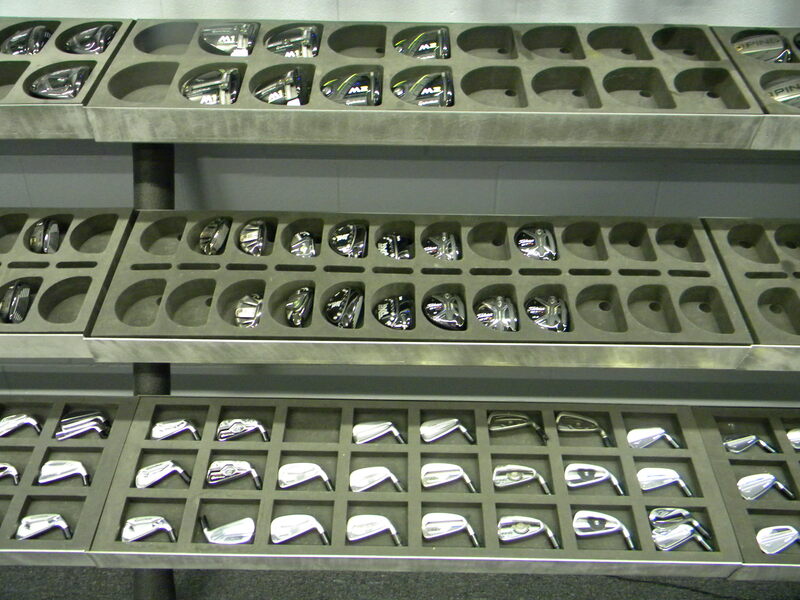 Golfzon, with its R&D department numbering as many as 300 engineers, technicians, and programmers, has taken basic simulation for many quantum leaps into the future. For example, Golfzon releases 100 aerial drones for overhead video mapping and gps distances for each course placed in its simulator portfolio. Golfzon Vision’s four overhead sensors capture club trace, impact and spin. 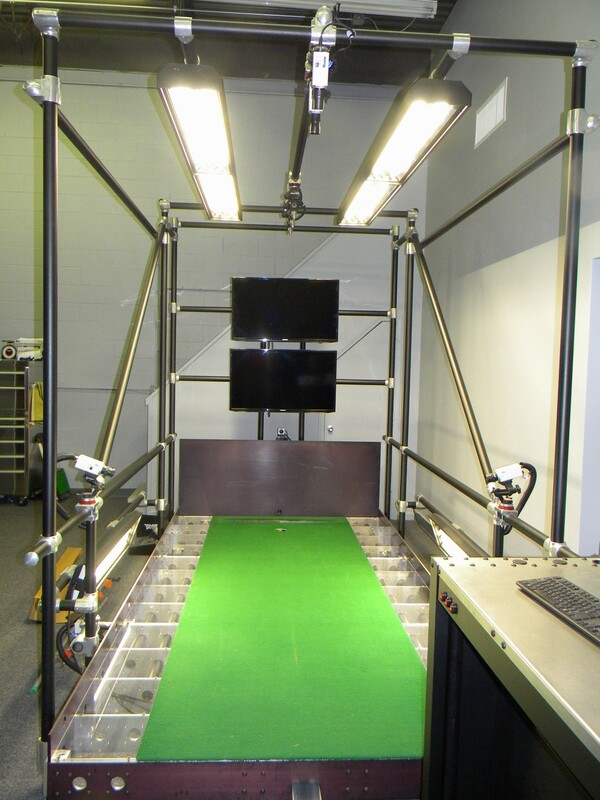 These measurements produce life-like trajectories, allowing the user to play fade, draw and pitch shots at more than 180 worldwide course choices. The software even takes into account the brand / model of ball used by the player — wedge shots with backspin just like real outdoor golf. Further customization allows the players to select the weather, wind, and daylight conditions they prefer. 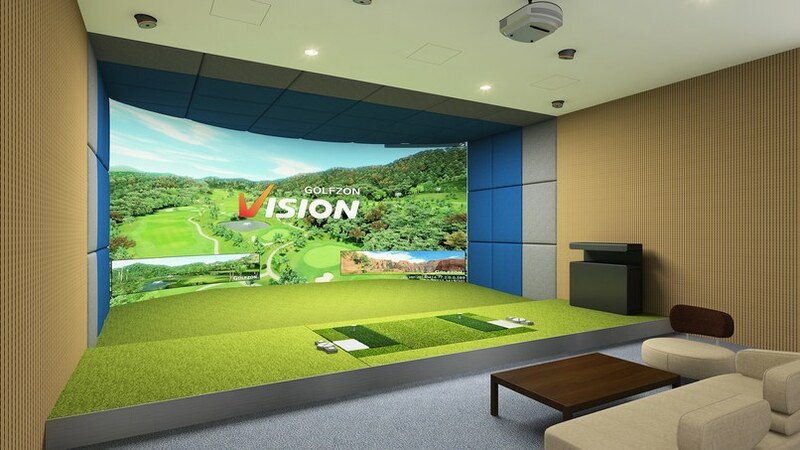 The Vision simulator offers seven play situations, such as online, stroke play, match play or foursomes, etc. 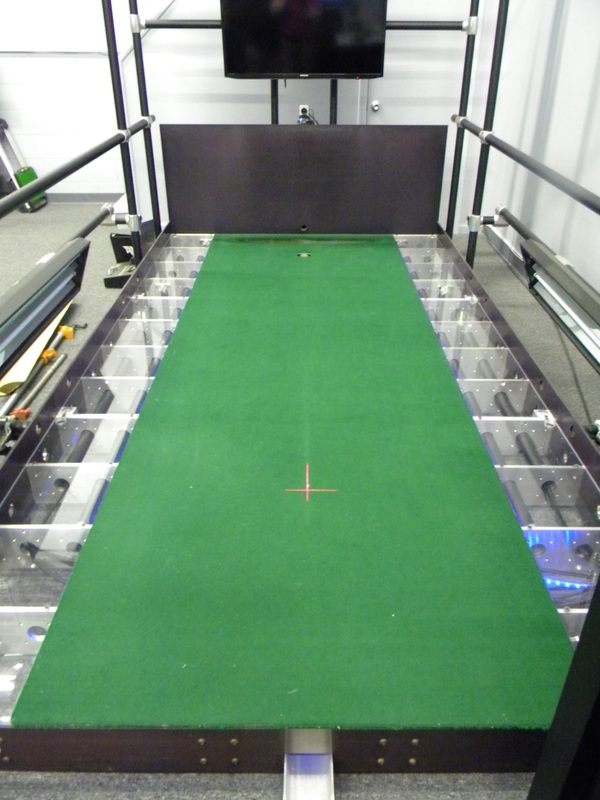 Mats on the Golfzon Vision simulator reproduce fairway, rough, and sand lies in a realistic manner. Automatic pop-up teeing can be adjusted for heights of 25mm-60mm. Want more? How about uphill, downhill, and sidehill lies? The hitting mat is one giant ‘oscillating plate’ with computer controlled mechanical lifts that automatically adjust the pitch of the player’s stance to any one of 120 different angles. By the end of January, 2018, the Power of the Golf Ball’s second practice and instruction facility will be open in Northbrook, IL. PotGB-Northbrook will have two Golfzon Vision simulators (one R/H & L/H and one R/H only) and a synthetic practice green for short game work. The address for the Northbrook facility is: The Dugout, 1885 Holste Rd, Northbrook, IL 60062. Ollen Stephens is available for instruction at either his Northfield or Northbrook locations. 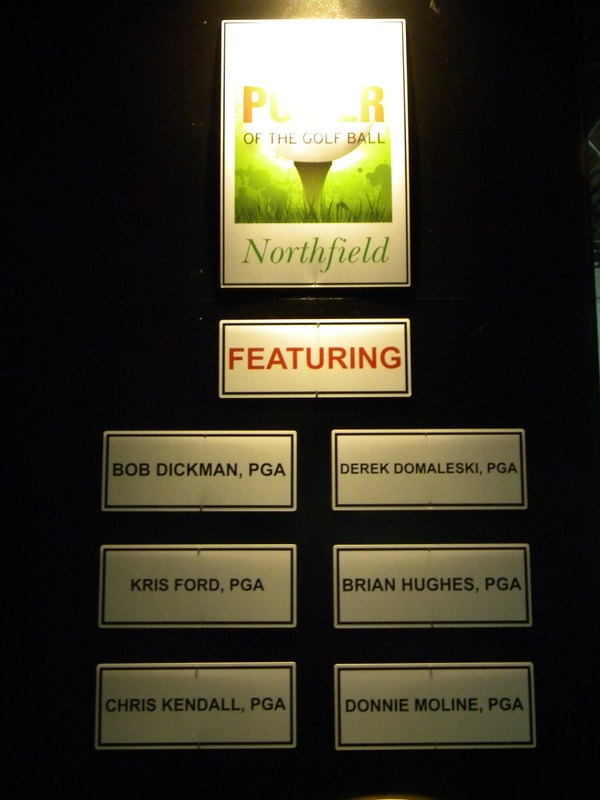 Additionally, there is a choice of six more PGA professionals available for instruction in Northfield and three PGA golf professionals at the Northbrook location. 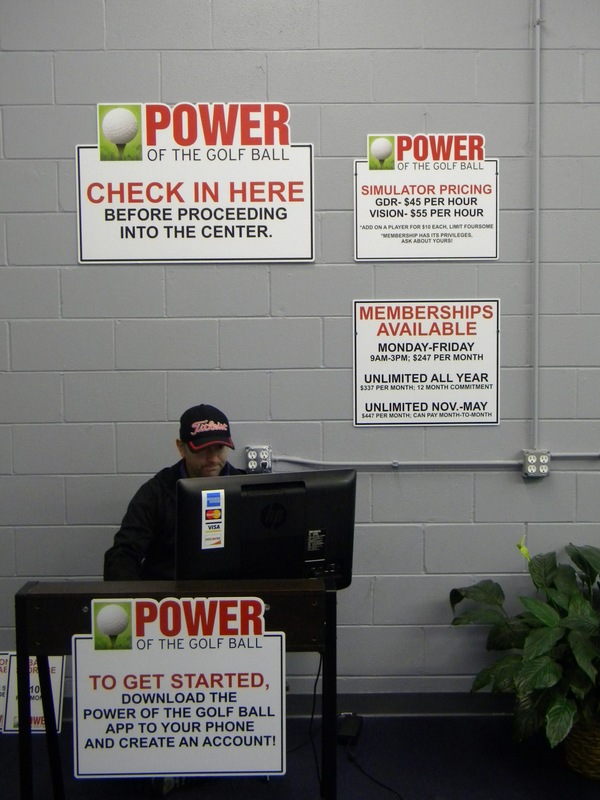 Both locations offer walk-in and online booking for simulator rental, and, both locations offer yearly and seasonal memberships. With the 2018 Ryder Cup being held in France, two French phrases will be used in summary: Golfzon Vision is the ‘crème de le crème’ of golf simulators and ‘c’est manifique’ describes The Power of the Golf Ball facility.